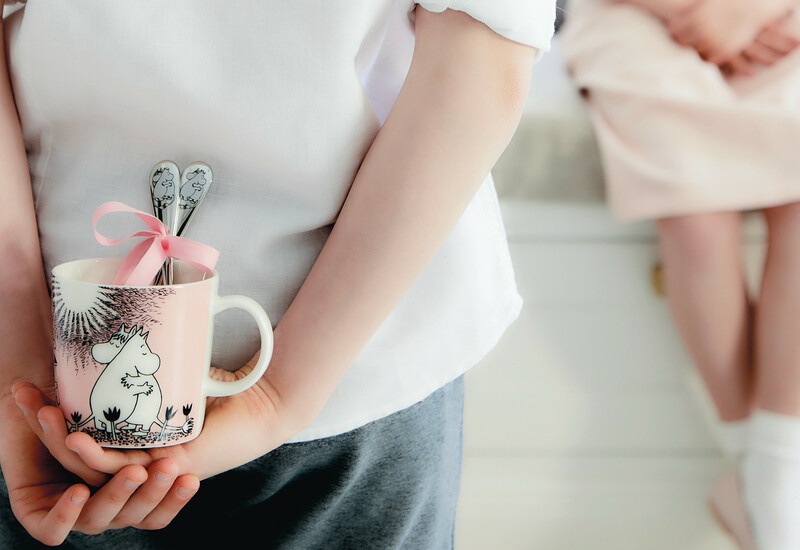 The popular Moomin provides classic design for all ages, and adorns everything from mugs to textiles. The popular Moomin provides classic design for all ages, and adorns everything from mugs to textiles. Between 1945 and 1970, Finnish author and artist Tove Jansson published several books about the cheerful and ingenious Moomin family. The popularity has spread internationally, and today Moomin is one of the world's most recognized figures. The beautiful motifs have taken the stage from the books to design in a variety of forms. Today you can find the Moomintroll, his family and all his friends on bath towels, bedding, plates and trays. Moomin cups from Arabia have become objects for a large number of collectors worldwide and are perhaps what you usually find at home with friends and acquaintances. Each year a new collection is released, with a new motif inspired by one of Tove Jansson's books. At RoyalDesign.com Moomin is an obvious part of our range of beloved classics and trendy news. Therefore, we have gathered a large assortment of these beloved characters from several brands, such as Opto Design, Finlayson, Pluto and Arabia. Here you will meet all the characters, from Snorkmaiden and Little My to Snufkin and The Groke. And so the whole Moomin family, of course. Start your own collection, or expand the existing one with your friends from Moominvalley.